Did you know there is a need for Facebook ad virtual assistants? Yup! Just like there is a need for Pinterest virtual assistants, Facebook VAs are in high demand. 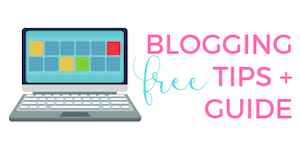 First, if you are a blogger, please grab this free guide on 7 Ways to Boost Your Blog Income Overnight to increase your income this year! Today I'm interviewing Bobby from Millennial Money Man. If you don't know who he is already, you are really going to like him! Last year, Bobby helped me out a TON when I wanted to start learning about Facebook ads for my blog and online business. I had been intimidated about Facebook ads for quite some time and he walked me through how to get set up and do everything step-by-step. There's a few reasons why I wanted to have Bobby on the blog because he has a really great background story. He had a day job and was a total side hustler, just like so many of us! I even had a chance to hang out with him and his wife at FinCon, a conference for personal finance bloggers, so he's just as nice in person as online. As many of you know, I got my start as a Pinterest virtual assistant helping bloggers and businesses a few years ago. That side hustle turned into a full time career. Bobby's story is really similar, except he got his start helping people and businesses with Facebooks ads. Just like how I transitioned from a Pinterest virtual assistant to creating Pinterest Presence, Become a Pinterest VA TODAY! and all my other Pinterest products, Bobby is transitioning through a similar process! Because it can be hard to help everyone (there just isn't enough time in the day! ), he's created a brand new course called the Facebook Side Hustle Course. I cannot even tell you how excited I am about this course! Facebook ads can be used for a number of different reasons! Before we get started, I wanted to share with you one of my recent Facebook ads. Thanks to everything I have learned so far from Bobby, I have been really comfortable running my own ads. How a Facebook ad increased my opt-in rate! Here's an example of a before and after for Believe In A Budget when I ran a Facebook ad. This ad was geared around introducing a new audience to my website and offering one of my side hustle freebies. Here's how one Facebook ad helped me increase my email opt-in rate. This is crazy! As you can see, my subscriber rate was hovering around 10-20 new subscribers per day. Once I started my Facebook ad, my subscriber rate skyrocketed! During my 12 day campaign, I gained 970 new email subscribers. That's an average of 80 new subscribers per day. The best part? I didn't have a big budget! I spent $120 over the course of twelve days to gain 970 new email readers, which comes out to $0.12 per conversion. 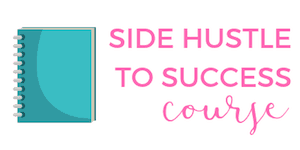 Each reader that signed up received a free side hustle workbook from me, so it was a win-win for everyone! This is just one example of a Facebook ad that I have experimented with. There are so many different types of Facebook ads and goals associated with each Facebook ad. The best part is that you can start with a small budget, like $5 per day. I think this ad cost me around $10 per day, so you can spend whatever amount that you are comfortable with. Ok, let's talk to Bobby. I have a ton of questions for him that I know will benefit both you and me! Can you tell me a little about your story? How did you get into blogging and running Facebook ads? I actually started Millennial Money Man back in 2014 when I was a high school band director. I had just finished paying off $40,000 of student loan debt on my teaching salary in 18 months, so I was really excited about personal finance and wanted to start writing about it for fun. At the same time, I was starting to feel like I was a getting trapped in my teaching career. I loved working with the students and am really passionate about music, but every day at work was starting to feel like a grind. For whatever reason, talking about personal finance was so much more fun to me. I started doing financial lessons with the kids during their advisory period, and they loved it! As I kept growing Millennial Money Man after I got home from work, I felt more and more like I could do it full-time. So about six months after I had started the site, I walked in and resigned from my teaching job to blog full-time, even though I had only brought in a cool $3 in Google Adsense revenue haha. That's when I figured out the hard way that blogging isn't exactly a get rich quick business model. I went about three months without making any real money from my blog. I had to figure out something else to do to make money, or else I would have to jump back into teaching (which I really really really did not want to do). I had a little bit of an epiphany when I was browsing around on the website of the local jeweler that had made my wife's engagement ring. They had a blog and were trying to reach people on social media, but it was all pretty low quality. I knew I could do a better job because I had already started to grow Millennial Money Man pretty quickly. I pitched the idea of me managing their website and writing the content for their blog, and after a few weeks, they hired me! That gig slowly turned into a full-fledged marketing account, and I started working on getting them to rank higher in Google, doing email blasts, and running their Facebook ads. I now run my digital marketing business in addition to Millennial Money Man full-time and brought in nearly $200,000 online in 2017. So how did that turn into creating a Facebook ad course? I was talking to a friend of mine named Mike Yanda who runs a dedicated Facebook ad agency, and as we were talking about some of the things I'm doing with my blog, he mentioned that I should create a Facebook ad course for my readers. It pays well, and it's something that can be done as a really good side hustle. Honestly, I didn't really think anyone would be interested at all. But I decided to float the idea to my Facebook page and my private group. The response was ridiculous haha. Within 24 hours, I had hundreds of people asking me to make a course about it! One of the biggest reasons is probably that most of my audience has found me through Facebook ads. I brought in over 1,000,000 readers in 2017, and a large majority of that traffic came from ads I run that bring in readers for less than 5 cents per click. It's awesome. So I went back to my friend Mike and told him I wanted to co-create the Facebook course. I was a band director with no marketing experience before I started doing that type of work, and he was an ex-lawyer that had taught himself how to run ads and was now making $25,000 – $35,000 per month doing it. I figured that if anyone could teach people with no experience how to run them and get clients, it was us. Are Facebook ads really something that blogs and businesses want right now? Heck yes. It is the most requested service that I see from clients. The reasoning is pretty simple – they are so much cheaper to run for businesses than traditional advertising methods (and not to mention more effective). For example, I had a marketing client that wanted a magazine ad done for their business. It cost $10,000, and there is no way to prove exactly how effective it was! Facebook is much different. Business owners can see exactly how effective the ads are using data provided by the Facebook ad platform, and the system we teach proves exactly how many leads were brought in from specific ad campaigns. You can also get crazy with the targeting if you want to. Facebook lets you target people based on their interests, email address, location, websites they have been to recently, etc. You just don't get that much data anywhere else. How hard is it to run these ads? Honestly, pretty simple. Again, I was a band director and Mike was a lawyer before we had even touched Facebook ads. You definitely don't have to be a rocket scientist to learn how the platform works. In my experience, it's actually much easier than almost anything else you can do in marketing once you learn the ropes. I would much rather run Facebook ads than work on Search Engine Optimization or create email campaigns. That's not to say those other methods aren't really effective (because they absolutely are), but Facebook is so straightforward compared to everything else in my opinion, and you don't have to rely on any luck to create effective campaigns. About how many hours per week does this service take for each client? The most time you spend on a client is during the initial onboarding process. It can take 3-4 hours to set up the business manager for the client, create target audiences, create the ad, and then set the scheduling. But after that, it's pretty magical haha. Facebook ads essentially run on autopilot once you turn them on. You do need to check in on them from time to time to make sure that the campaign is running effectively, and maybe do some back and forth with the client to tweak the ad copy or whatever offer the client is running. I would schedule 2 hours per week, per client. Our course is designed to teach people how to get a few clients and manage ads for them in their spare time. 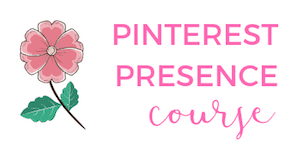 Is this a good add-on service for my students who have taken my Pinterest VA course or Pinterest Presence course? Yes. As a digital marketer that does a little bit of everything, I feel like the more tools you have in your toolbelt, the easier it is to keep clients long-term so they don't have to go somewhere else for marketing services. You could pretty easily package this with your existing services, or pick up a completely new set of clients to diversify your income streams. Kristin's note: Many of our Pinterest Presence and Pinterest VA students work with clients who want to increase traffic, hone in on the client's target audience and help their client increase revenue. Understanding how Facebook ads work is a great, additional service to offer your client and increase your income! You said $1,000 per month per client…is that realistic? It is industry standard to charge $1,000 – $2,000/month for a client. A lot of Facebook marketers hover around $1,500 right now. While that sounds a little expensive compared to some other services, it's still much cheaper than something more intensive like Search Engine Optimization work. The biggest thing to remember is that the results are completely trackable. Clients are willing to spend good money if you can prove beyond a shadow of a doubt how many leads you were able to bring in the door, which is what the Facebook Side Hustle Course teaches. What does the Facebook Side Hustle Course cover, and how much is it? The course will literally cover everything that someone with no experience needs to know in order to get clients and run effective Facebook ad campaigns for them. You'll learn exactly how Facebook ads work, how to create effective ads, target the right people, manage clients, prove results, and ultimately help your client bring a lot more business through the door. Most local lead generation Facebook courses run for more than $1,000, but I have so many readers that really want an accessible side hustle that doesn't cost a fortune. In addition, students will have access to a technical support group, where they can get help with troubleshooting their ad campaigns or any other issues that might pop up while they are dealing with a client's campaign. Membership in the group will be a paid feature, but we're giving the first month away for free and only charging $47 per month afterward. 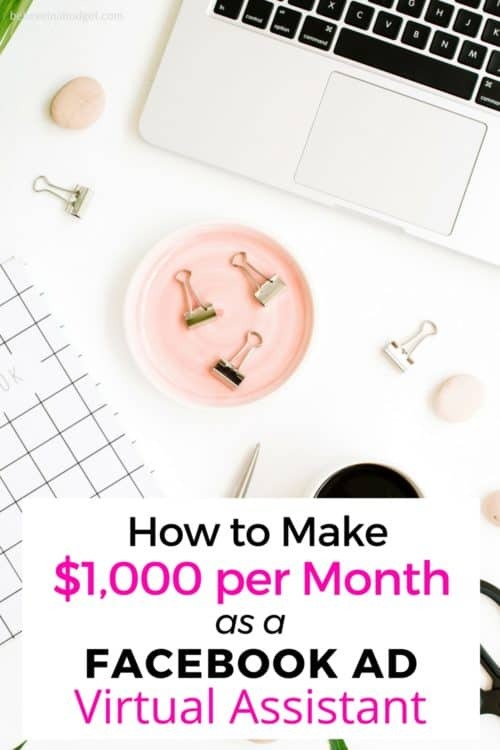 Overall, the idea is to provide a high-paying side hustle to people that want to make more money every month and make it easy for them to have a lot of success quickly. If you would like to learn more about the course, click here! 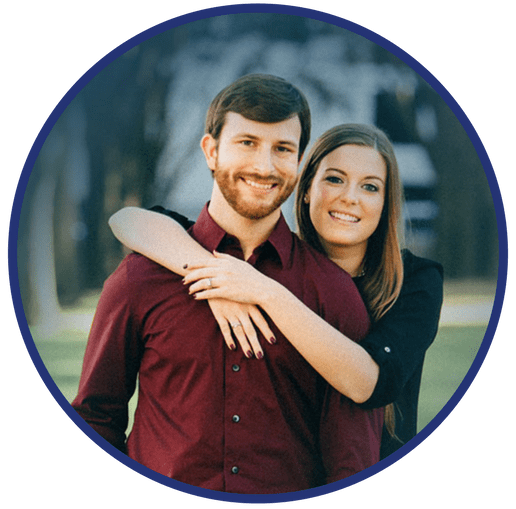 Bobby Hoyt is a former high school teacher who now runs MillennialMoneyMan.com full-time, as well as a digital marketing agency for local businesses that he started in 2015. In 2017, he made nearly $200,000 online between the two companies! Bobby has been seen on CNBC, Forbes, Business Insider, Reuters, Marketwatch, and many other major publications.